A few weeks ago, Lindsay Regali of Charlottesville was fishing in Dillon Reservoir with her husband Luke Newcomb and local guide Randy Ford of Alpine Fishing Adventures when she caught a record-setting Arctic Char. 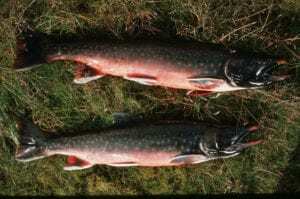 Arctic Char is a cold-water fish that is native to alpine lakes and arctic and sub-arctic coastal waters and is closely related to salmon and lake trout. Colorado Parks & Wildlife first began stocking arctic char in The Dillon Reservoir in the 1990’s. After a 10-year break, agency biologists began stocking the slow-growing fish again between 2008 and 2015. The previous record arctic char weighed in at 3.75 pounds and was 20.5 inches long. It was caught in Dillon Reservoir 1994 by Marshall Brenner. Colorado Parks and Wildlife certified Regali’s catch as the new state record – weighing in at 4.15 pounds and 23.5 inches in length. Arctic Char can weigh 20 lbs. or more with record-sized fish being caught in northern Canada. Coloring of this fish can vary depending on the time of year and the environmental conditions of the lake where it lives. Regali, a self-described casual angler, had initially been interested in the sights surrounding Dillon Reservoir more so than what lay beneath the water’s surface. She was very surprised when she caught the large fish as she hadn’t caught anything the entire day. When she pulled the fish into the boat, everyone realized just how large it was. With the Dillon Reservoir yielding bigger specimens of the fish, Colorado Parks & Wildlife considers the stocking program a significant success. For Regali the experience of catching a state record arctic char will remain with her for a lifetime. Dillon Reservoir is the only public body of water in the lower 48 states (outside of Maine) in which arctic char can be caught. Most populations are found in Canada and other arctic regions. 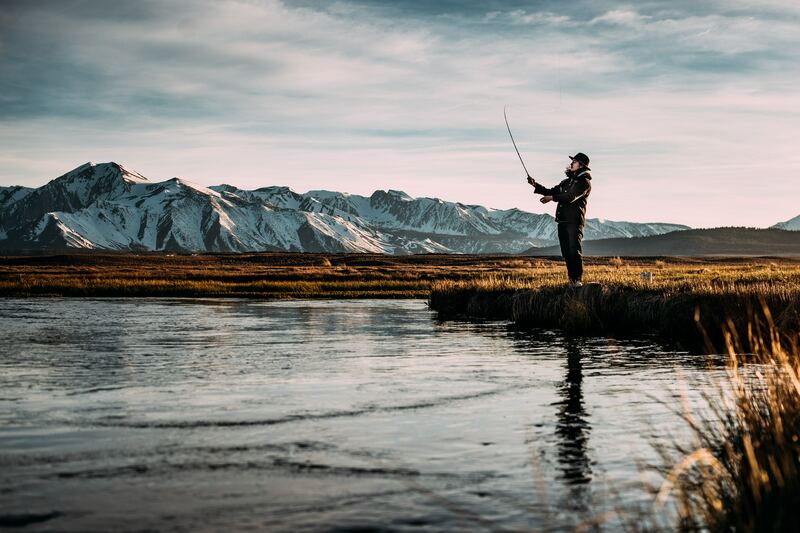 For more information about where to go fishing on your next trip to the mountains, click here.